to understand explanations of key concepts and practices. A very brief and simple overview description of the Stanford CCT course, how it works, and why it has value. 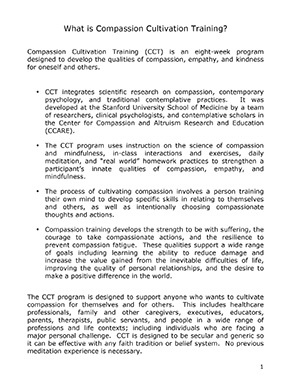 A concise two-page summary of seven science based primary benefits of compassion cultivation training (CCT). 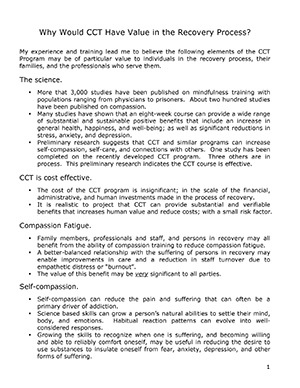 This document focuses on CCT as a cost effective method to increase in the sustainability of recovery. The same basic benefits apply to parents of children with autism, as well as many other groups of family caregivers. CCT is useful for persons with cancer, seizures, and other major health or life challenges; as well as their families and the professionals that serve them. 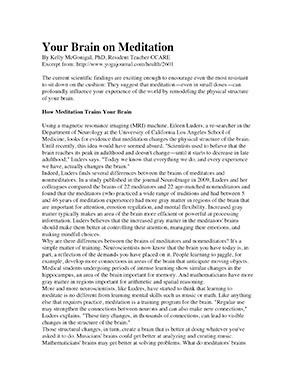 A brief and clear summary of how research confirms a basic meditation practice can enable substantial and measurable changes in the brain. And, that positive change can happen in a surprisingly short time frame. A basic meditation practice has been shown to improve the ability to concentrate (with less effort), have more stable attention, improve problem solving ability, reduce stress, reduce negative thinking, and increase compassion for self and others. Author: Kelly McGonigal PhD. The science shows that people are more happy when their minds are not wandering. Mind wandering is the default mode for most people, regardless of what they are doing. 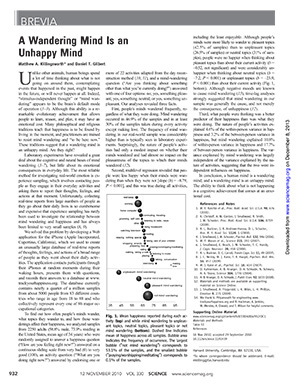 In fact, mind wandering is fairly described as a cause of unhappiness. Thinking about “what is not happening” has a significant emotional cost and other adverse effects. This surprisingly simple method has been very helpful for many people. 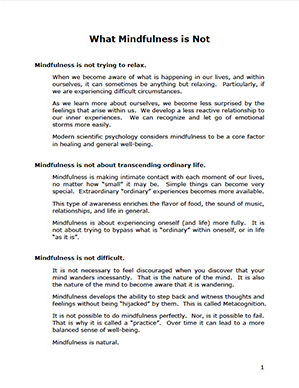 It is a way to quickly get out of the “worried mind” and back into the present moment. Real comfort, clear perceptions, and best possible choices become more available. 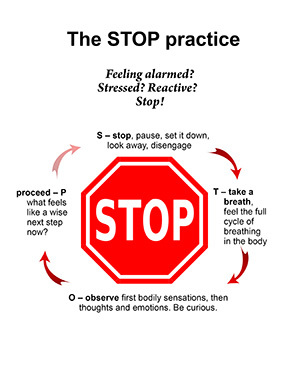 STOP is an acronym for: Stop, Take a breath, Observe, and Proceed.